Dan and I wanted to get Penelope a bicycle for Christmas last year. As she approached two-and-a-half, we thought it was pretty good timing for this "big gift". 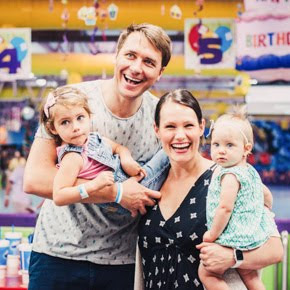 The hubs did all kinds of research on bicycles and tricycles and stumbled on balance bikes, little bikes without pedals or training wheels, on which kids use their feet to pump like a scooter and and sit balanced like a big-kid bicycle. Dan was more than disappointed when, on Christmas afternoon, Penny was NOT at all interested in going and riding her new bike for hours on hour in the driveway with Daddy. In fact, she thought it was cool to look at and touch, but anytime we suggested she try to ride it, she declined (because it wasn't her idea) and just wanted to push the baby scooter she'd had since infancy. 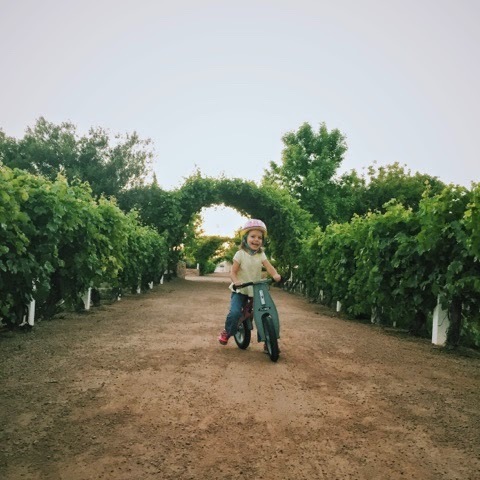 About a month later, she expressed an interest in riding her bike, but the power struggle over wearing a helmet was too big for the little bike to be victorious. So, it sat in our garage for three months. 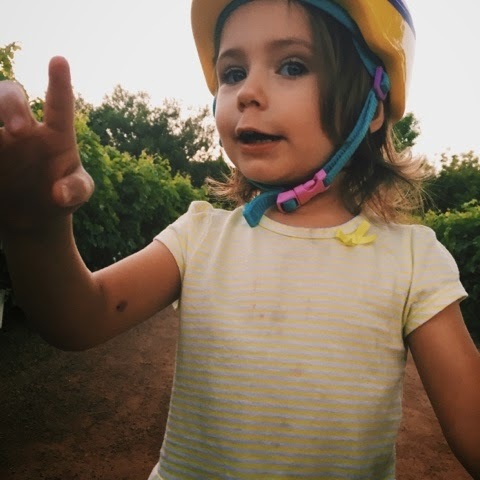 Just recently, Penny decided she wanted to ride her bike, and also that she was willing to wear a helmet. Hooray! [I'll put this one in the category of glad I didn't give in]. The first few times out there were painfully slow as she walked the thing around the basketball court. But now, the girl jams on that thing. I cannot keep up with her when I'm walking with a stroller. Anytime I tell her we are going somewhere, the first thing she asks is "Can I ride my bike there?" I love that she luuuvvvvvvvs her bike. I love how her little whispy hair flaps behind her neck under her helmet. I love how she insists on wearing her "fast shoes" (Saucony tennies) and that those help her to go fast. I love how she says "I'm the leader, you follow!" and likes to be in front. I love how we are learning left and right, the street versus the sidewalk, and how to watch for cars. I love that when I walk somewhere in the neighborhood, she's using her body riding her bike now instead of sitting in a stroller probably eating fruit snacks. 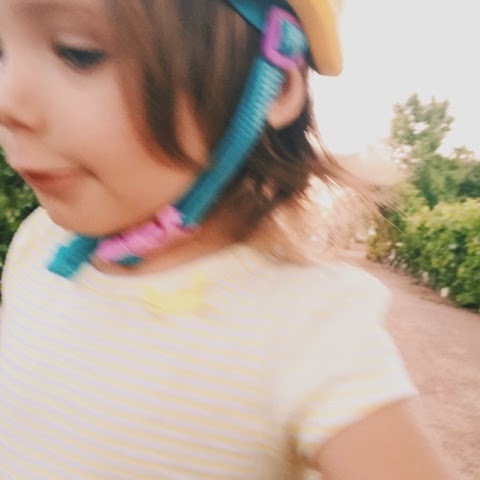 I love that her FirstBIKE is light enough for her to carry herself when she's not riding it. I love everything about this whole thing. Considering precisely what education and learning could possibly look like over the bike. The hubs did lots of research on bicycles in addition to tricycles and stumbled with balance bikes, little motorbikes without pedals or teaching wheels, on which kids work with their feet to pump such as a scooter and and sit balanced such as a big-kid bicycle. 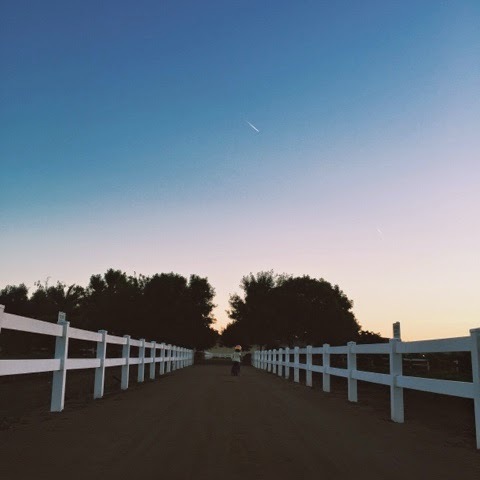 The earliest few times out there were painfully slow as she walked the fact around the basketball court. When i basically favorite these individuals. Having on account of receive publishing listed here all around. Preserve swapping more. Hello there! I adore the way your lover states that "I'm leading the way, people abide by! inch in addition to prefers to be in entry. I adore how we usually are finding out eventually left in addition to suitable, the street vs this sidewalk, in addition to the best way to watch for cars and trucks. Everyone loves the best way the girl's minimal whispy wild hair flaps regarding the girl's the neck and throat less than the girl's cycle helmet. Everyone loves the best way the woman demands for dressed in the girl's "fast shoes" and the all those enable the girl's to move speedy. Everyone loves the best way the woman suggests "I'm a-, you actually observe! inches plus would like to stay front side. Everyone loves the way you will be knowing kept plus perfect, the road opposed to a pavement, plus ways to watch out for motors. Everyone loves that if I actually move anywhere you want while in the location, this woman is working with the girl's shape traveling the girl's mountain bike at this moment in lieu of perched inside of a pram in all probability taking in fruit flesh snack food items. Everyone loves this the girl's First BIKE is definitely lumination more than enough for her to place micro if this woman is never traveling them. Everyone loves all in regards to this overall element. Would a lot of study about cycles as well as tricycles and also came together with equilibrium motorcycles, tiny motorcycles with out pedals or perhaps instructing added wheels, where youngsters assist their particular toes to be able to water pump for instance a kid scooter and also and also take a seat well-balanced for instance a big-kid cycle. I enjoy that whenever My partner and i wander anywhere inside the area, she has making use of the girl physique driving the girl cycle today as opposed to sitting down in the child stroller possibly ingesting berry snack foods. I enjoy in which the girl First BIKE will be mild adequate on her behalf to hold their self any time she has not necessarily driving that. I am looking for the information about Balance Bike to buy my child. Your post makes me very interesting. I hope my girl also will like it. Thanks about your post. Nowadays, kids are seldom outdoors with technology and all. Great to hear that your kid seems to be enjoying the sun, please do keep her interested in always getting out there. And btw, she is one cute fella. Enjoy these moments, the grow up fast! All the hubs had all explore relating to cycles and additionally tricycles and additionally stumbled relating to total amount stationary bikes, smaller stationary bikes lacking pedals or possibly workout train wheels, applications small children benefit from most of the little feet to make sure you knock out such as moped and additionally and additionally lay good such as big-kid cycling. Nice balance bike for kids. Really it inspires me to buy this bikes for my kids. I will give my kids this bike next Christmas.